What does hack on IT even mean? Is the last word pronounced /it/ or /I-T/? We accepted both pronunciations. Hack on IT was an event a few weeks ago in Orlando that I was able to attend that is helping to engage technologists in the work of Bible Translation. Wycliffe Bible Translators currently has openings for over 200 technologists from analysts to web developers, network admins to Linux gurus to software engineers and every type in-between and this event was to bring those who are interested in using their talents and abilities to help advance Bible Translation mixed together with just the right amount of caffeine. We also had bottles of water for those who had reached their daily caffeine allowance to stay hydrated. We also ate plenty of beef jerky and starbursts. There are hackathons, which are typically an event lasting several days, in which a large number of people meet to engage in collaborative computer programming. Wycliffe recently did this during Urbana where they worked on the Rapid Translation Toolkit, for more information on all the different projects that were done during this event check out #hack4missions. This event was not a hackathon it was a Hack on IT. So we started the event with boxes of computer parts and we were tasked with getting the computers to function. It wouldn’t have been any fun if they hadn’t switched the language to Burmese; it’s a nice non Roman script language that makes it challenging to figure out what the different menus say. So, we got to “hack” on some old computer equipment. The goal was to show some of the challenges that a field technician might face in the field trying to get a computer to work. If you notice the first item I grabbed was the role of duct tape! This was not my first time around gently used computer parts. The following morning we were able to participate in a Scripture Celebration. After the Scripture Celebration we were able to see some of the new technology that one of our partners, Faith Comes by Hearing is doing with the Digital Bible Platform. 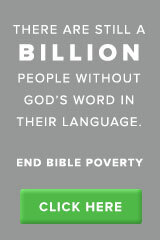 They are working to make the Bible available everywhere, for everyone. If you think Amazon using drones to deliver packages is cutting edge, these guys are even more cutting edge launching satellites to deliver scripture. We were able to hear some testimonies of current IT (Information Technology) staff working in Orlando and how God has moved in their lives to bring them to Wycliffe. God is so good, and it was a joy to hear all of these stories! The next day we had two projects that we were working on. The first project was looking at providing a simple solution for network connectivity to many of the remote offices around the world, it needed to be affordable, easy to configure and reliable. The second project was looking at an automated system that would ensure that the Wycliffe.org website did not have any bad links since the majority of the content is dynamically generated. Sorry if I lost you in the geek talk but the event was a blessing for me to connect with the other IT recruiter and meet some new individuals looking to serve with Wycliffe! I hope that you will join us in prayer. Also, let me know if you would be interested in going to the next event that we have like this! This entry was posted in Computers, Wycliffe and tagged IT, Missions, Technology, Wycliffe. Bookmark the permalink. It looks like a great time for you – I think I’ll pass. As much as I admire and appreciate the way God is using new technology to spread His eternal Word around the world, I’m pretty sure I wouldn’t be of much use in doing the work you do. I will, however, continue to pray for you without ceasing! Thank you for the continual prayer! Yup, you lost me, but I read IT!!! I’ll come serve the coffee and pass out scones for the next conference! It’s cool to see how relevant Wycliffe is, ya know? Thanks Tracy, if we have one near you I’ll call you to come serve the coffee and scones. I can hold the duct tape, but have no other usable talents in the realm of IT. Good thing it’s right up your alley!